February is a milestone month for us here at DBS! Six years ago, our company opened its doors and built its foundation on the values of commitment, teamwork, integrity, opportunity, and respect. It is these values that have been the cornerstone in bringing our business to where it is today. In 2012, we began in a small building with one solid crew. Since then, DBS has grown to employ three additional crews along with growth across all of our departments! 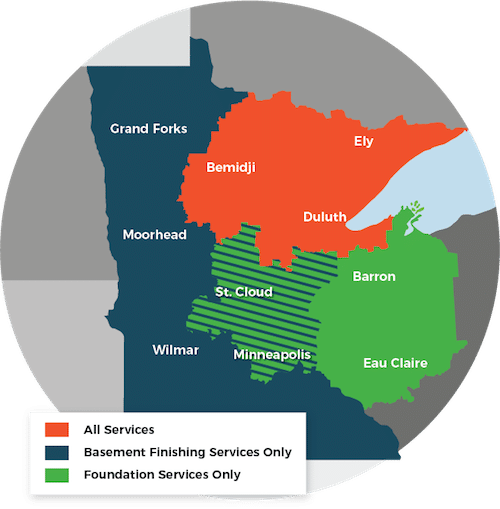 With the demand for our services in both Minnesota and Wisconsin, came growth and the need for more space. To accommodate this expansion, DBS moved into a larger building in January of 2017. This allowed us to better serve our customers. As we grew, we continued to uphold these values and provide the best quality service to our customers. Have you heard us on the radio or watched us on TV? Our redesigned logo is gaining recognition as we prove ourselves in the world of contractors. We have a vision of a world where every family lives in a healthy, safe, and comfortable home, which we strive to make a reality. The mission for everyone here at DBS is to create “WOW” relationships with employees and customers while providing permanent home performance solutions.